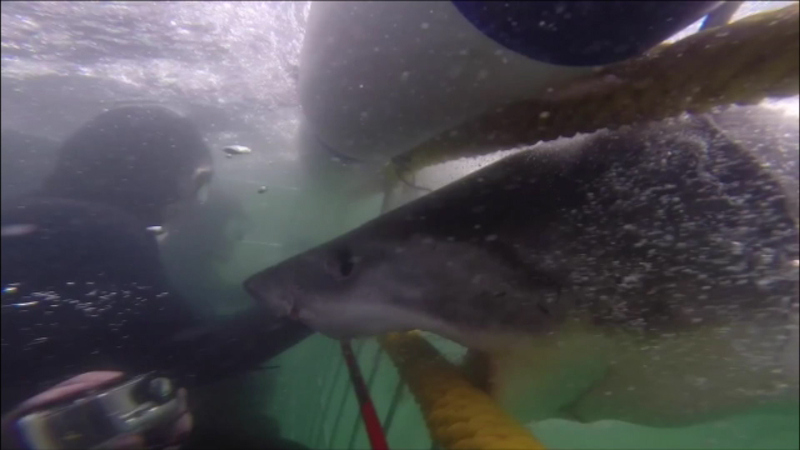 A young great white shark was caught on camera as it rammed an underwater cage with divers inside. Divers filmed this video off the coast of South Africa and just posted it on YouTube. It shows the shark charging and trying to clamp down on one diver's arm.